AMA Hall of Fame rider Don Castro lives and owns a shop, Racers Edge, not far from the Moto Talbott museum. 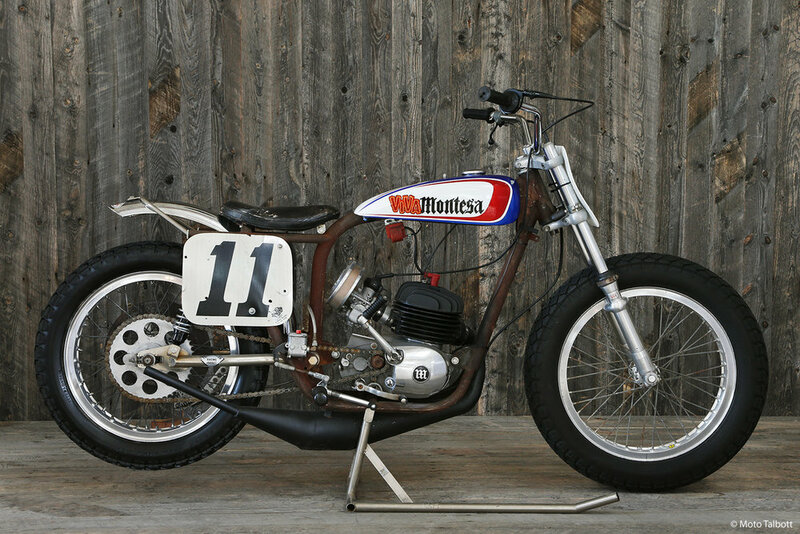 He and museum founder Robb Talbott have a friendship resulting in a trove of historic memorabilia and a rare 1972 Montesa flat-tracker from Castro’s storied career. 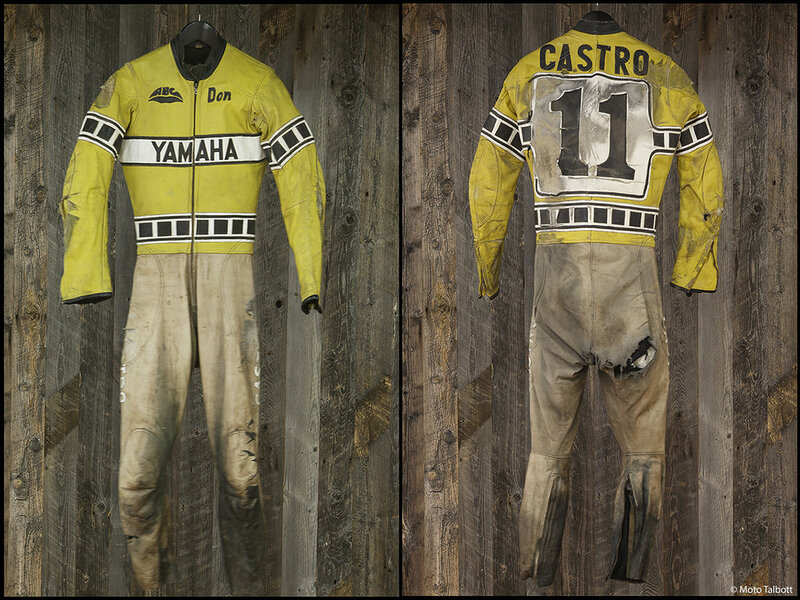 Castro raced in the early ‘70s with the likes of other Hall-of-Famers Kenny Roberts, Mert Lawwill, Gene Romero, and Dave Aldana. The era is still considered the golden age of flat track racing, and Castro most famously won the ’73 San Jose Half Mile, leading from start to finish. As the story goes, in ’72 he had his van and all his equipment stolen, and the bike you see here was an impromptu replacement—there wasn’t time to plate or paint the frame! The leathers are from a 150-mph highside crash that “almost tore my leg off,” says Castro. Just a few months later, he was back racing! Castro eventually retired in ’76.